Wikipedia entry on Panama Papers, here. Wikipedia list of people named in Panama Papers, here. In addition, this searchable list from the Sunday Times might be worth consulting from time to time. Josh Boswell, Tom Wills, Aendrew Rininsland, Panama papers: the names: Search our database of 37,000 names linked to Mossack Fonseca companies in the tax haven of Panama (Sunday Times 4/10/16), here. The linked page offers at the bottom a downloadable zip file with the data, here, which includes a csv file which is apparently 102.54 MB in size (presumably this could be imported into an MS Excel file, although I have not yet done that) and a "README.TXT" file to explain certain matters about the data. Apparently this file lists the companies and directors, shareholders, and legal agents for the companies. 1. Tax havens protect vulnerable people against despotic governments, unjust laws and political turmoil. One benefit of tax havens, to listen to economists such as Cato Institute senior fellow Daniel Mitchell, is that they help shield oppressed groups from greedy and corrupt regimes. The “financial privacy laws” that govern tax havens make them especially “attractive to people who live in nations plagued by incompetent and/or venal governments,” Mitchell argued in a 2008 Cato-produced video titled “The Moral Case for Tax Havens.” The most famous version of this myth was first peddled in 1966 by the Schweizerische Kreditanstalt (today’s Credit Suisse), suggesting that Swiss bank secrecy was set up to protect Jewish money from the Nazis. In reality, Switzerland’s famous banking secrecy law of 1934 was triggered by a French tax-evasion scandal involving several wealthy elites, and Swiss secrecy wound up protecting a ton of Nazi loot. Tax havens shield the money of rich people, not vulnerable ones. Indeed, the Panama Papers revealed offshore accounts associated with several dictators and members of oppressive regimes from around the globe, and few linked to ordinary citizens. When tax havens assist kleptocratic elites in hiding their cash with impunity, they don’t guard against corruption and despotism — they help perpetuate them. Tax havens provide an escape route from laws that is available only to a rich minority that can afford to use it, thus removing from the equation the constituency with the greatest power to push for reform. There are four more. Enjoy! David Lawder, U.S. Treasury readies new tax rules as G20 vows to fight evasion (Reuters 4/16/16), here. The U.S. Treasury Department is finalizing new tax rules aimed at combating the use of shell companies to evade taxes, U.S. Treasury Secretary Jack Lew said on Saturday amid increased pledges by global finance leaders to cooperate on tax issues. In a statement to the International Monetary Fund's steering committee, Lew said the Treasury was finalizing a rule that would require banks to identify the beneficial owners of new customers that are companies. "In addition, we are about to propose a regulation that would require the beneficial owners of single-member limited liability companies to identify themselves to the Internal Revenue Service, thus closing a loophole that some have been able to exploit," Lew said. In the wake of controversy stirred by the so-called Panama Papers, which revealed widespread use of tax havens and shell companies by wealthy global elites, officials from the Group of 20 major economies on Friday threatened to penalize tax haven countries that do not comply with new information-sharing efforts and moves to reduce tax mismatches between countries. They called for criteria by July to identify non-cooperative jurisdictions. "Defensive measures will be considered by G20 members against non-cooperative jurisdictions" if progress toward tax goals is not made, the group said in its statement. Lew said the United States fully supports calls for all countries to automatically exchange financial account information. Josh Meyer, IRS Urges Americans: Come Clean Now, Before We Read Panama Papers (NBCNews 4/17/16), here. U.S. officials revealed to NBC News that they have taken part in two global meetings about the Panama Papers to plan how to use the huge trove of leaked documents to catch criminals — and urged Americans to come clean now before illegal activity is discovered. Last week's discussions in Paris and Washington between IRS and Treasury officials and their counterparts from around the world are the first evidence of U.S. involvement in the growing international coalition eager to analyze and use the data about more than 214,000 offshore companies listed by Panamanian law firm Mossack Fonseca. In a statement to NBC News, the IRS acknowledged participating in a "special project meeting" of JITSIC, the Joint International Tax Shelter Information and Collaboration network, about the papers in Paris last week. The IRS also encouraged any U.S. citizens and companies that may have money in offshore accounts to contact the agency now before any possible illegal activity on their part is identified. According to media reports, the documents contain information on potentially thousands of U.S. citizens and firms that have at least an indirect connection to offshore accounts affiliated with Mossack Fonseca. 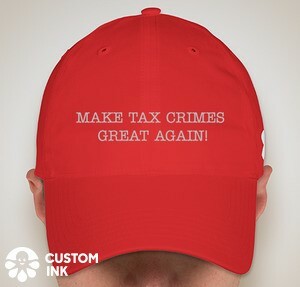 Many other firms provide similar services, and the Treasury Department estimated last year that more than $300 billion dollars of illicit proceeds are generated in the United States annually, with criminals using such companies here and abroad to launder funds. "People hiding assets offshore should recognize the continued changes and progress in the international tax arena," the IRS said. "More than ever, their best option remains to come forward voluntarily and participate in the IRS Offshore Voluntary Disclosure Program." We are well aware of the rise of the 1% as the rapid growth of economic inequality has put the majority of the world’s wealth in the pockets of fewer and fewer. One much-discussed solution to this imbalance is to significantly increase the rate at which we tax the wealthy. But with an enormous amount of the world’s wealth hidden in tax havens—in countries like Switzerland, Luxembourg, and the Cayman Islands—this wealth cannot be fully accounted for and taxed fairly. No one, from economists to bankers to politicians, has been able to quantify exactly how much of the world’s assets are currently hidden—until now. Gabriel Zucman is the first economist to offer reliable insight into the actual extent of the world’s money held in tax havens. And it’s staggering. In The Hidden Wealth of Nations, Zucman offers an inventive and sophisticated approach to quantifying how big the problem is, how tax havens work and are organized, and how we can begin to approach a solution. His research reveals that tax havens are a quickly growing danger to the world economy. In the past five years, the amount of wealth in tax havens has increased over 25%—there has never been as much money held offshore as there is today. This hidden wealth accounts for at least $7.6 trillion, equivalent to 8% of the global financial assets of households. Fighting the notion that any attempts to vanquish tax havens are futile, since some countries will always offer more advantageous tax rates than others, as well the counter-argument that since the financial crisis tax havens have disappeared, Zucman shows how both sides are actually very wrong. In The Hidden Wealth of Nations he offers an ambitious agenda for reform, focused on ways in which countries can change the incentives of tax havens. Only by first understanding the enormity of the secret wealth can we begin to estimate the kind of actions that would force tax havens to give up their practices. Zucman’s work has quickly become the gold standard for quantifying the amount of the world’s assets held in havens. In this concise book, he lays out in approachable language how the international banking system works and the dangerous extent to which the large-scale evasion of taxes is undermining the global market as a whole. If we are to find a way to solve the problem of increasing inequality, The Hidden Wealth of Nations is essential reading. However, Zucman makes a persuasive case that it wouldn’t be technically difficult to crush the tax haven industry. The enormous challenge would be mustering the political will — and not just in one country, but on a global level. Tax havens serve two functions: tax evasion, which involves hiding assets and is illegal, and tax avoidance, which is done by multinational corporations in the open and is legal (since the same corporations have conveniently made sure the laws work that way). Eliminating them requires different strategies. The main service provided by tax havens is simply that — since they’re not bound by other countries’ laws — they don’t report the income of foreigners to the relevant tax authorities. Based on the history of previous attempts to crack down on tax evasion, successful and not, Zucman argues that the U.S. and European Union could stop most of it with a two-pronged attack: concrete consequences for tax havens, and an international financial register. While FATCA has flaws, it’s been successful in making it more difficult for Americans to evade taxes. What’s needed, says Zucman, is even stronger measures to force tax havens to automatically report the income of all foreigners, not just Americans, to the tax authorities in their countries. The U.S. can force tax havens to comply because we’re so big and powerful. But smaller countries could also bring tax havens to heel if they act in coalition, especially since tax havens themselves are generally tiny and dependent on exports. Zucman calculates that if Germany, France, and Italy slapped a tariff of 30 percent on Swiss goods, this would cost Switzerland more than it makes as a tax haven — and such a tariff would be legal under World Trade Organization rules, since it would enable the three countries to recover approximately the amount in tax revenues that Switzerland is costing them. Of course, as with the hypothetical Definitely Not an Illegal Tax Shelter LLC, bankers may be able to honestly say they don’t know who owns many assets. That’s where an international financial registry comes in. Zucman contends that a global registry of who owns which assets is “in no way utopian.” Countries have long had national registries of who owns all their land and property. More recently, corporations have set up private, large-scale registries: the Depository Trust Company (which keeps track of the ownership of all stock issued by U.S. companies), Euroclear Belgium and Clearstream (bonds issued by U.S. companies but denominated in European currencies), Euroclear France (French corporate stock), and other national repositories. Thus it’s not hard to imagine the databases being merged under the supervision of a public, international institution with financial expertise — and fortunately we already have one of those, the International Monetary Fund. Of course, the registry would in many cases record that assets are owned by corporations or trusts whose owners are unknown. Tracing the financial chain through many layers of obfuscation back to the actual human beings who hold the assets would require an enormous, costly, and possibly ineffective IMF bureaucracy. Zucman proposes a fiendishly clever solution: the global registry should impose a small, refundable wealth tax to make it in the financial interest of anyone with hidden wealth to disclose it. I love databases, so I think this has to be at least part of the solution. Formulary apportionment starts by discarding the weird fiction that a multinational corporation’s subsidiaries are separate companies. Instead, it treats the corporation as what it is, one unitary company, with one unitary amount of profit. Next, a formula based on the location of three concrete factors — the corporation’s payroll, physical capital like factories, and sales — is used to apportion percentages of the multinational’s profits to the different countries in which it operates. The IRS would get 35 percent of the U.S. apportionment. This isn’t a untested daydream. Individual American states have long used formulary apportionment to determine tax rates for multi-state corporations. The principle would be exactly the same for multinational companies. There’s no “right” formula, though for decades most U.S. states placed an equal weight on each factor. For example, a manufacturing multinational might have 66.6 percent of its payroll, 33.3 percent of its physical capital, and 50 percent of its customers in the U.S. Added together and divided by three, that means that half of its profits should be apportioned to the U.S. and can be taxed here. Thus a formulary apportionment system would make corporate inversions and the fictitious booking of profits in low-tax countries pointless — neither would change a corporation’s U.S. tax liability. So, as Zucman writes at the end of The Hidden Wealth of Nations, this is “above all a battle of citizens against the false inevitability of tax evasion and the impotence of nations.” Money launderers, crooked politicians, and huge corporations want the system to be so complicated that only their shady bankers and lawyers can comprehend it. But if regular people worldwide can educate ourselves about the costs the current system imposes on all of us, and mobilize to agitate for possible solutions, there’s a path in front of us to a tax system for everyone that’s far simpler, fairer, and more transparent.